There’s a lot more to Montreal than lively festivals and poutine. 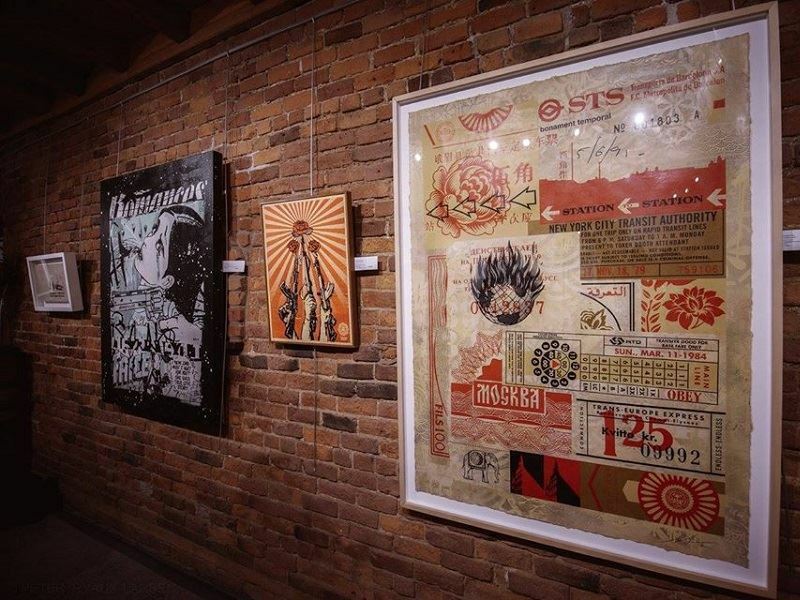 It’s long-been known for its thriving art scene as one of North America’s most creative cities, and it’s also emerging as one of the most exciting places on the continent for boundary-breaking art. You can explore its impressive works in everything from artsy cafes and galleries to museums and around the streets. 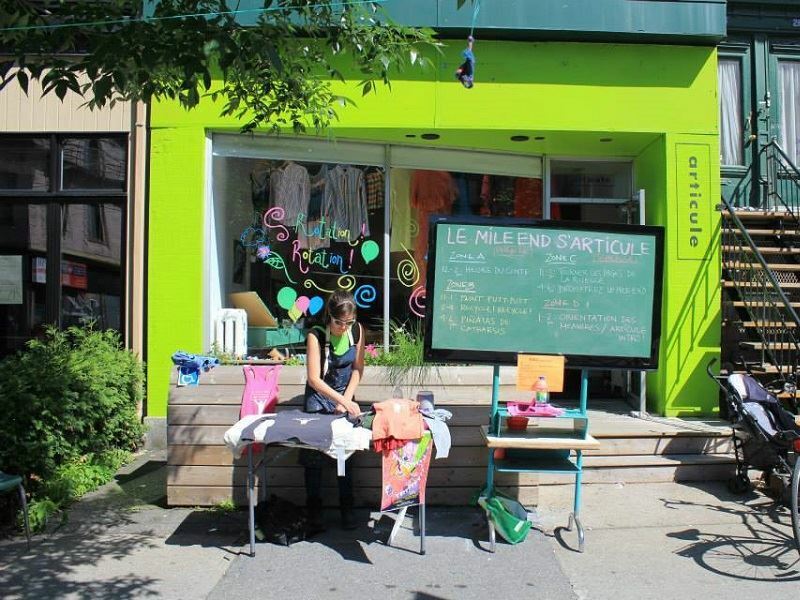 Set in the historical neighbourhood of St. Henri, Parisian Laundry is one of the most talked about galleries in Montreal. A former commercial launderer and cookie factory, the more than 15,000-square-foot space was transformed nearly 15 years ago to house a local magnate’s art collection, initially becoming a local gem, though today it boasts both current Canadian and international artists. Its exhibition programme is split between three exhibition spaces, including a two-story concrete box called the “Bunker.” While the permanent collection includes a full-scale, insect-invested “ice cream stand,” this gallery is worth visiting for its unique industrial architecture alone. 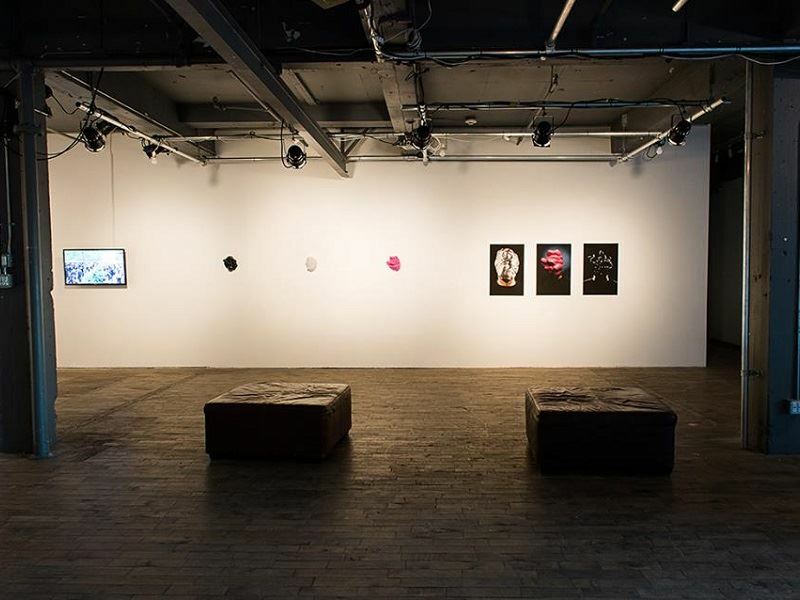 Station 16 is a contemporary urban gallery in the heart of the city that continues to push boundaries, showcasing graffiti and street art as well as design and printmaking, exhibiting both local and international artists whose works wouldn’t likely be exhibited in more traditional galleries. Once all-Canadian, Galerie de Bellefeuille in Westmount now showcases both emerging national talent alongside premiere artists from around the world as one of the most popular spaces for important events. It expanded to include a location across the street from its original gallery that opened in 1930, with the 6,500-square-foot-space now dedicated to contemporary art. Located downtown, La Guilde is a non-profit history gallery and a museum of Canadian art that focuses on contemporary art specialising in First Nations, Metis and Inuit artwork and crafts. The Matthew Namour Gallery in Old Montreal features some of the best street art around, promoting comics, illustration, surrealism, graffiti and pop art, with many unique pieces created by some of today’s talented, eclectic artists. The Ashukan Culture Space at Place Jacques-Cartier, also in Old Montreal, is the first, and to date, only permanent structure dedicated to Aboriginal artists, arts and cultures in the country, and also houses a boutique for purchasing original works and other cultural products. Located in the Golden Mile near Musee des Beaux-Arts, Galerie de I’Isle features works from painters that have been represented in some of the world’s top galleries. While Gallery Vallentin, also in the Golden Mile, has had a long history in Montreal, dating all the way back to 1934. Today it showcases works that are primarily by Canadian artists, including Stanley Cosgrove, John Little and Christian Deberdt. 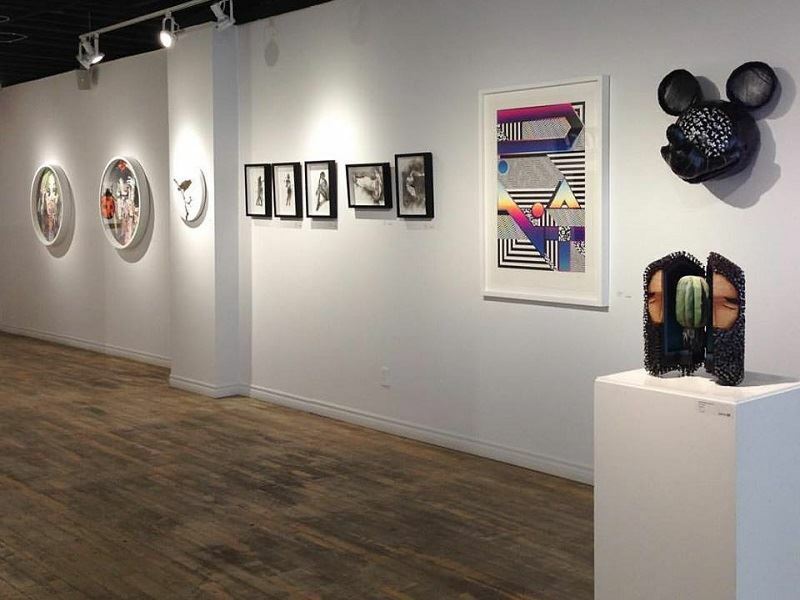 A treasure in the Old Port, Galerie Got Montreal features an excellent mix of modern paintings, sculptures and photos. Housed in two spectacular heritage homes in Old Montreal, DHC Foundation for Contemporary Art is a non-profit that hosts free, long-running exhibits, and is often named the city’s very best art gallery. The interior of the larger gallery has a stunning modern design that beautifully contrasts with the historic exterior and is worth seeing in and of itself. 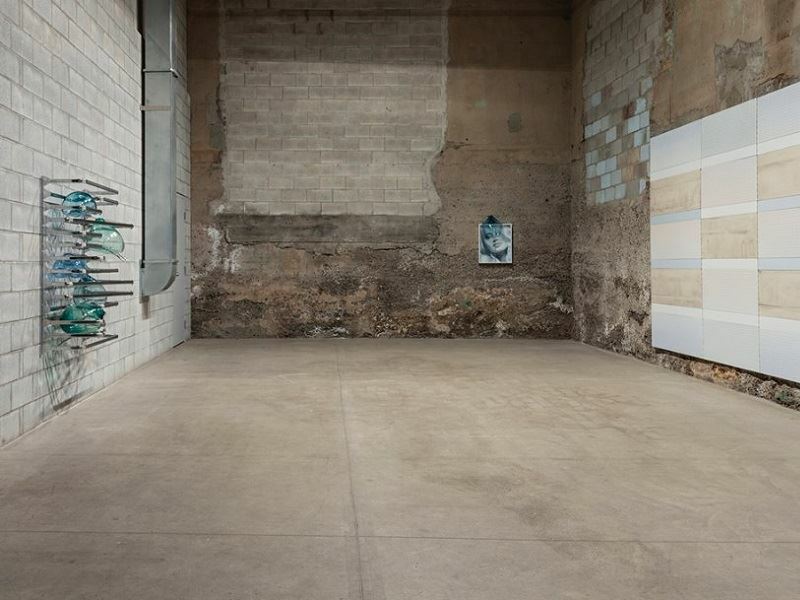 Art Mur is one of Canada’s largest private galleries and houses seven large exhibition spaces, representing more than 30 artists with works that range from sculpture and paintings to performance art and new media. Located on the campus of Concordia University, the Leonard & Bina Ellen Art Gallery showcases a permanent collection with more than 1,700 works of Canadian and Quebec art, with six to seven major exhibitions each year. Montreal boasts outstanding art museums as well, including its largest museum, the Montreal Museum of Fine Arts. 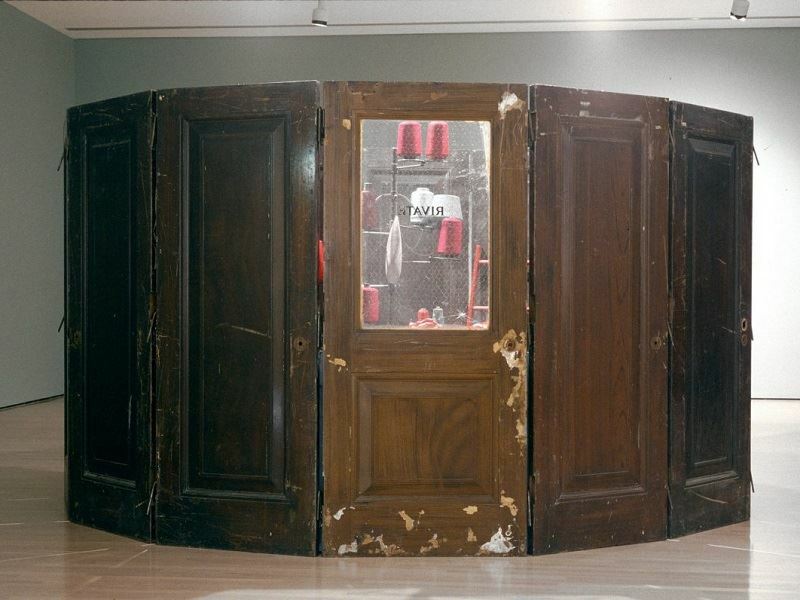 Its temporary exhibits are often raved about, with works by the likes of Gaultier, Rodin and Warhol featured in the past. 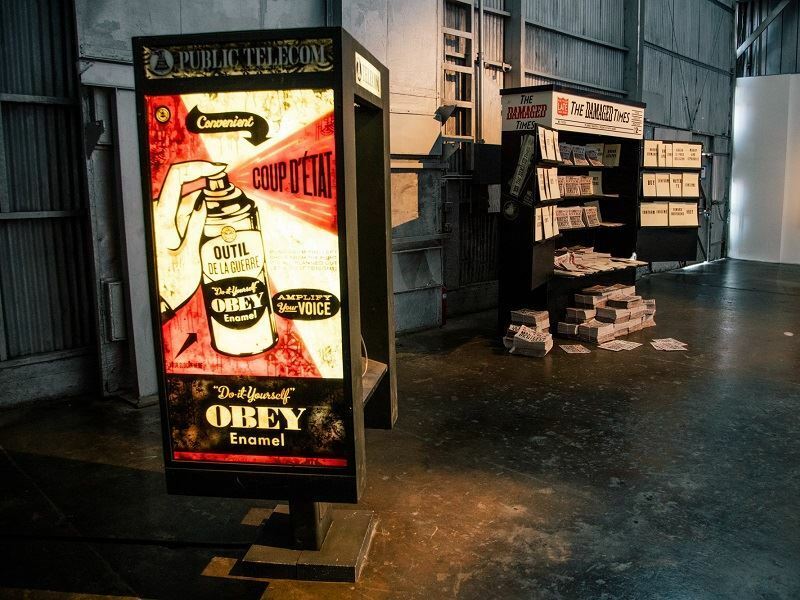 These exhibitions typically blend artistic disciplines, including design, music, film, fashion and fine arts. The permanent collection includes over 41,000 works. 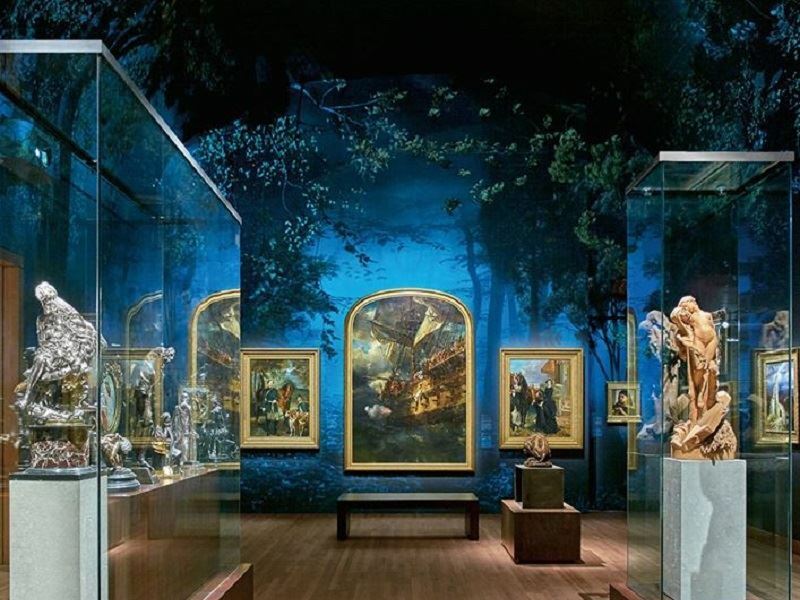 The Michal and Renata Hornstein Pavilion For Peace is part of the Montreal Museum of Fine Arts and includes nearly 800 works of art on four levels, including 77 works of 17th-century Dutch and Flemish art. The only collection of its kind in the province and the second largest in the nation, Monet, Rodin, Ribera, Rembrandt, Giacometti, Hoffmann and Poussin are just a few of the greats featured. Located in the Quartier des Spectacles, the Contemporary Art Museum of Montreal (Musee d’art Contemporain de Montreal) is renowned for its exhibits that include some of the top international contemporary works since its opening over a half-century ago. Part of the country’s only cultural complex devoted to both performing and visual arts, it includes a wide range of paintings, sculptures, installations, ephemeral works and more. The permanent collection features more than 7,500 works, including the most extensive collection of art by Paul Emile Borduas, in addition to hosting performances, films and other events throughout the year. By attending one of the Nocturne events, with one typically hosted in every season, you’ll have the chance to explore the exhibits and take in live performances late into the night, with the museums staying open past midnight. Chateau Dufresne, built in the early 1900s, is a beaux arts-style private mansion which houses a museum dedicated to the city’s East End history, featuring cardboard mockups of finished pieces and explanations of stained glass production techniques as well as highlighting the inspiration of Canadian-Italian artist Nincheri, whose 1920s-era murals can be found in Catholic churches across the continent. 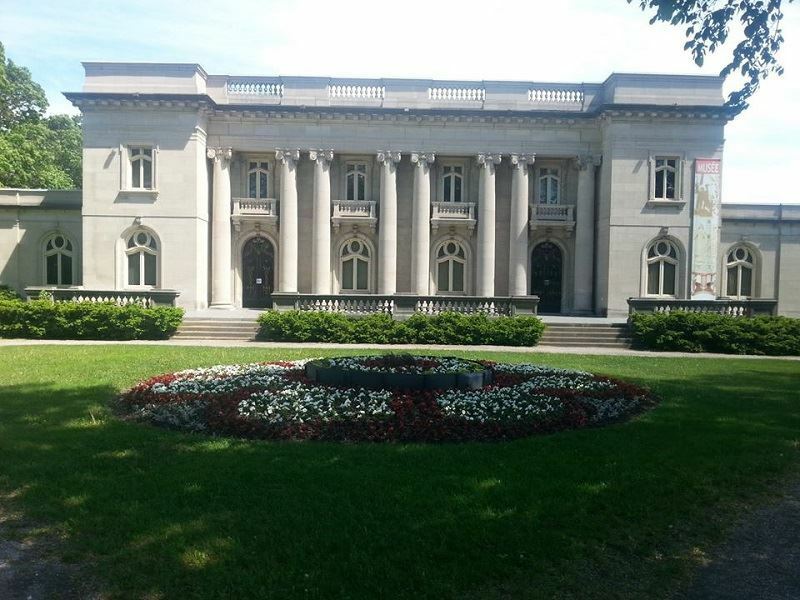 Founded in 1860, Musee des Beaux Arts is the oldest museum in Canada and hosts some of its finest paintings, including works from both Canadian artists and masters from Europe. It also features contemporary exhibits, including images shot by local photographers and an examination of Andy Warhol advertising. In addition to the galleries and museums, there are multiple artist-run-centres in the Griffintown district, the Mile End district and downtown. 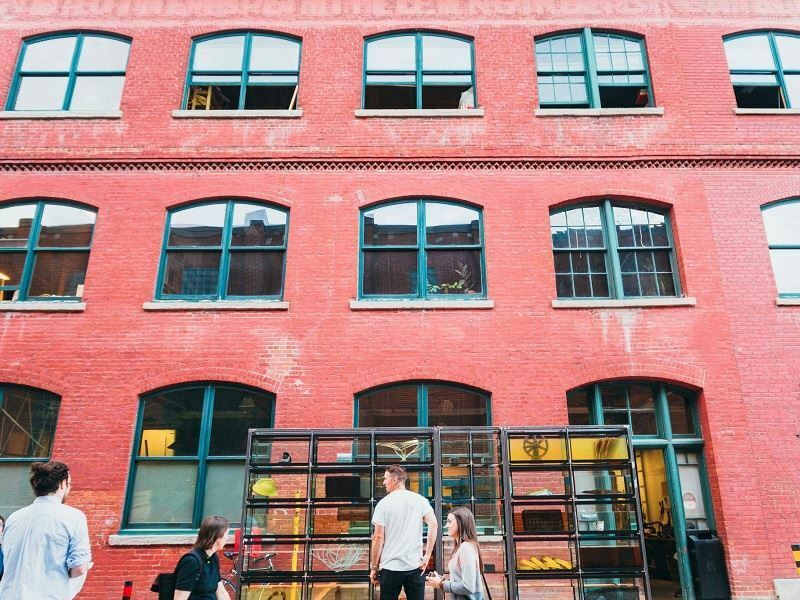 The Montreal Art Centre is a hub for visual arts, home to as many as 100 resident artists and 65 studio spaces where the artists not only create, but exhibit their work too, in addition to its two public galleries. Darling Foundry is located in an old iron foundry, a beautiful old brick building which includes two main galleries as well as studios and workshops for local and international artists that occasionally open up for public viewing. Articule is the only artist-run-centre in the city with a bilingual board, located in the Mile End. Its focus is on interdisciplinary art with a social aspect with special consideration giving to emerging artists, though all types of local, national and international artists are featured. Hidden in a side street at the eastern edge of Mile End, Le Centre Clark hosts exhibitions and performances as well as event exchanges with international art organisations. While you’re here, you can also pick up a map of all the Mile End art offerings that can be toured. Optica sits on Saint-Catherine Street in the heart of downtown, in a 19th-century building which includes a number of alternative and artistic businesses. Here for nearly 50 years, the gallery showcases international and national art as well as critical writing and curatorial programs. Also downtown, Skol is dedicated to new, emerging artists and includes experimental and exploratory works. It also offers interactive learning resources and master classes. Over in Little Italy, Eastern Bloc is a fairly new artist-run-centre opened a decade ago in a former party space. Located on the second floor of a huge warehouse, it focuses on interdisciplinary art and new media, frequently feature new artists who are just starting their careers. 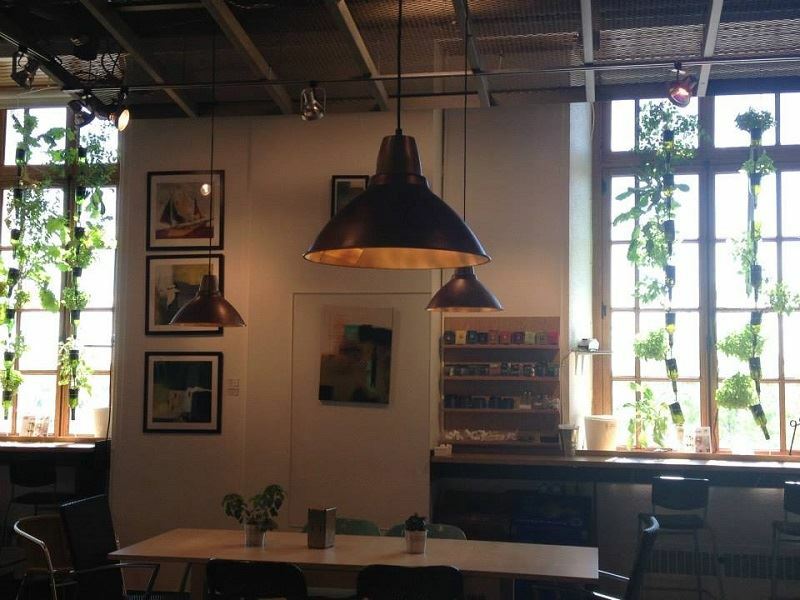 The Underground Scene includes cafés with art as well, including the aptly named Arts Café in the Mile End. The café is famous for its outstanding brunch and excellent coffee, though it’s also used for hosting art-related events year-round. Café des Arts in the Old Port’s Bonsecours Market is a café serving local dishes, baked goods and seasonal treats as well as strong, fair-trade coffee. 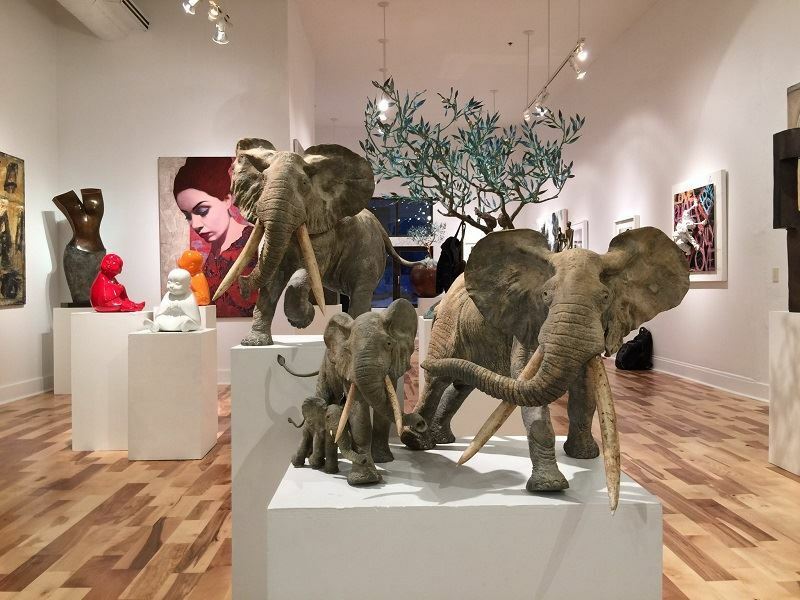 It perfectly blends into a gallery space that showcases contemporary works by local artists, particularly young and emerging artists. Montrealers often refer to Saint-Laurent Boulevard as La Main, as it divides the city in between East and West, and in recent years, it’s become a hub for street art and creative types. The passion for art has expanded into nearby streets, boroughs and public spaces, though graffiti art pretty much canvasses all of Montreal. 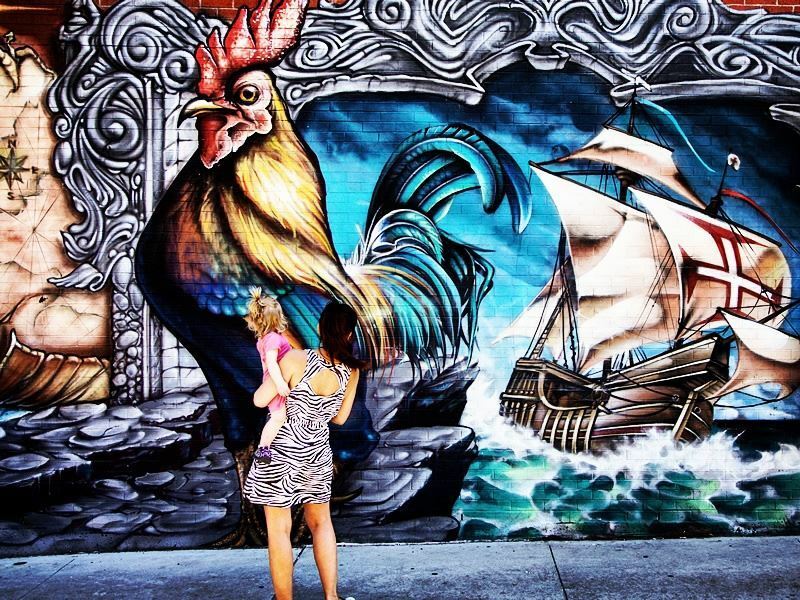 The advent of MU made it especially colourful, a nonprofit organisation which has created nearly 100 murals and more than 100 community projects to promote the unique cultural heritage and historic of the city’s eclectic boroughs like Chinatown on La Main, and in Little Burgundy. 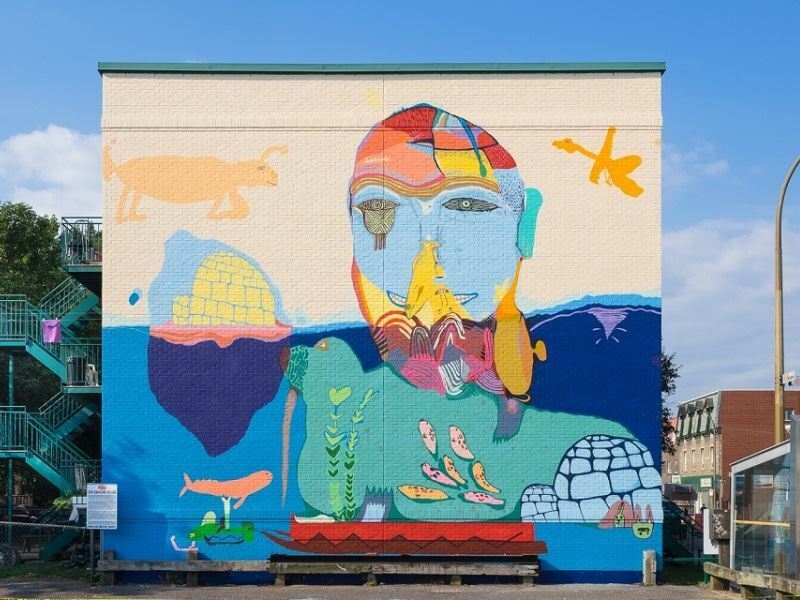 If you happen to visit in June, attending the Mural Festival is one of the best ways to explore Montreal’s diversity of street art that can be seen throughout its neighbourhoods. With a mission to democratise urban art, the festival has become a unique international celebration of the arts, with a continually-expanding portfolio of more than 80 murals and installations. It brings together muralists, street artists, musicians, art enthusiasts and more during an over week-long celebration that transforms Boulevard Saint-Laurent into an open-air gallery for local and international artists which attracts more than a million visitors. If you can’t be here in June for the Mural Festival, another great way to take in the impressive Montreal street art is to join a tour. There are multiple options that all include professional guides who can provide the inside stories behind each of the murals that are visited.